LifeBridge Health centers are the "facilities of choice" for quality patient health care for the residents of the Baltimore area and surrounding communities. More than 10,000 LifeBridge Health physicians, nurses and staff members dedicate their professional lives to making a difference - one patient, one child, one family at a time. Meet our grateful patients and hear their stories of determination, survival and hope. It's All About Family from LifeBridge Health on Vimeo. 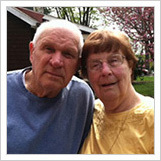 Dennis Glasgow - Grateful Family Member from LifeBridge Health on Vimeo. 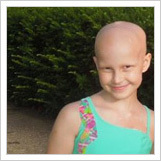 The Wasson Family from LifeBridge Health on Vimeo. 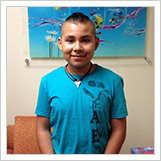 Cesar Munoz was 7 years old when he was diagnosed with Ewing’s Sarcoma. After a fall on the field at school, his parents took him to the doctor fearing he had broken his leg. Instead, his diagnosis was cancer. 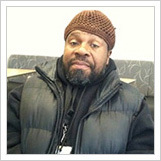 His doctor suggested they seek treatment at The Herman & Walter Samuelson Children's Hospital at Sinai. Both his parents spoke little English, so his older brother, Wesley – 11 at the time took over the scheduling of the appointments and talking with the doctors along with a medical interpreter. What started out as a simple fall in gym class forever changed the Wetheral family’s life. When Sadie’s bump wouldn’t heal, the doctor’s ordered more tests. Then came the diagnosis – Osteosarcoma – a tumor on the femur bone. This 8 year-old girl with a huge smile on her face was about to start a long year of treatments and uncertainty, and at the end of it that smile still remains, stronger than ever. “Stronger than Sickle Cell” This is the slogan of Samantha Cohen’s new Foundation she and two friends started in the summer of 2013. They want to help get the word out about sickle cell disease and help those who suffer from this illness. 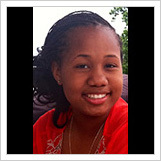 Diagnosed with sickle cell disease when she was a baby, “Sammie” as her mother, Kelleye, calls her has grown into a strong, compassionate, positive young woman with such effervescence for life. Her smile brings sunshine to any room. The pain was agonizing; I couldn’t walk, I couldn’t even sit or sleep. My wife, Carolyn, and I visited doctor after doctor and finally by the grace of God we ended up at Northwest Hospital. Dr. Ian Weiner, Orthopedic Surgeon and Dr. Norbert Zemankiewicz, Vascular Surgeon, took one look at my foot and immediately rushed me into emergency surgery to clean out the infection. The morning of October 2nd I was on my way to work but I had a strange headache unlike any headache I’ve had before. I decided to leave work early and go home to rest. When I woke from my nap my mouth felt tingly and numb, a few minutes later my hand started to contort in a weird way and then my legs gave out on me. At that point, it dawned on me; oh my God I am having a stroke! 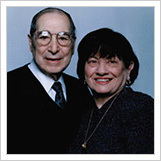 My name is Adele Grayman and my husband, Frank Grayman, is a resident of Levindale Hebrew Geriatric Center and Hospital. It’s hard to imagine that Frank was once an original draftsman who drew building plans for bridges in Vermont, all by hand, no computers, can you imagine? I remember the day everything changed it was like yesterday. It was a windy day, Frank said “I am going for a walk.” I was waiting for him to come back but still no Frank; hour after hour passed.